[FOREWORD BY Pe. 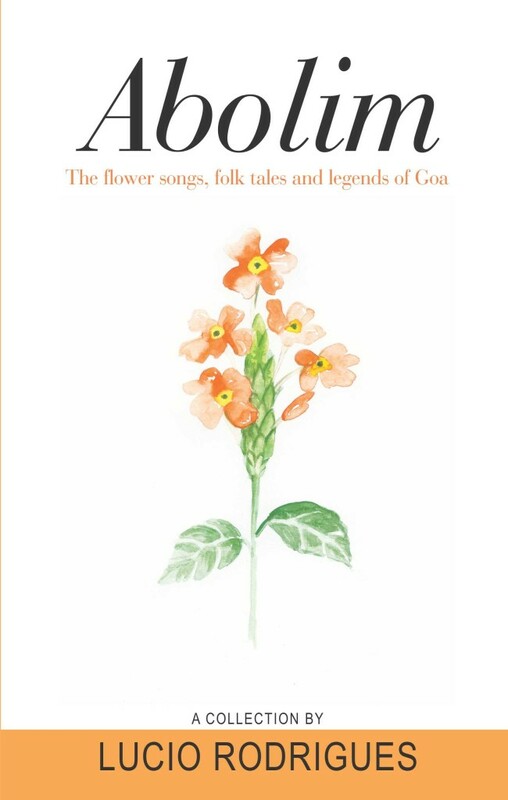 ANTONIO DA COSTA] Perusing through the articles in this book on Goan folk music authored by Lucio Rodrigues, the pioneer and renowned Goan folklorist, was like diving to the bottom of the ocean with so many beautiful pearls and nuggets that you just want to keep collecting and never stop. Indeed I enjoyed my dive immensely and understood the mando, dulpod, and deknni better than ever. Prof. Lucio’s influence on me dates back to my early teen years. I was privileged to be born in Curtorim, the Salcete village and the cradle of the mando at a time when the mando had reached its zenith. The mando flourished for a century (1850–1950). I knew how to sing most of the mandos, dulpods and deknnis by the age of 13, but I knew nothing more about this lovely music. My interest grew as I learned to read and write music, and my late cousin, Dr. José Pereira, introduced me to his writings on this subject as well as the writings of other great pioneers and lovers of this music like Prof. Micael Martins, Prof. Antsher Lobo, and of course Prof. Lucio Rodrigues. It was a treasury of information on different aspects of this magical music for which I hungered. Prof. Lucio’s work on Goan folklore is phenomenal in its depth and breadth. He was a great pioneer researcher and folklorist of his time. Additional research published since his death in 1973 has added to and enhanced the work he started. The article I read when I was young, ‘The Love Song of Goa’ (Marg, December 1953), is similar to the one in this book, ‘The Mando: The Song of Love’. It gave me, for the first time, a deep understanding of this song in its three aspects: (1) Mando as Poetry: a perfect poem of three stanzas and a refrain which is in itself a novel in miniature — expressing significant social, moral and cultural attitudes, and with themes of love in many moods: yearning or frustration or fulfillment; (2) Mando as Music: slow melody, full of passion, deliberate in movement; the use of minor mode is its important characteristic. Structurally the melody is made up of three sections: the first two lines that are repeated comprise the first; the next two lines are in the next section which is also repeated, and these two sections complete the stanza pattern; the refrain fills the next two lines and is repeated. The mando is sung in two voices with the second harmonizing with the first in terms of thirds and sixths. Prof. Lucio advocates the rhythm of mando in six-eights with a strong accent on the fifth beat. Now, however, the general consensus for the rhythm of mando is six-four, with the quarter note as its unit in time. (3) Mando as Dance: Lucio’s description of the mando dance is accurate and fits with what others have said and I have observed in the old days. In his article ‘The Mando: A Look Before and After’, Prof. Lucio shows once again how much he understood and loved the mando and how he longed to see it survive. “The mando is a unique creation of the Goan musical genius,” he writes, and gives good information on how and where it may have originated and the importance of the Goan parochial schools that the Portuguese civil and religious authorities established in the sixteenth century. It is needless to say that the greatest musicians Goa has produced and who have performed all over India and the world are the products of these schools. I certainly concur with him that these mestres da Igreja (the church choirmasters) were indeed the first composers of mandos using solely Konkani, their native language, to express their feelings of love, and not Portuguese which they had assimilated into their daily life. I also agree with him that “the golden age of mando has passed”. The Mando Festivals that began in Goa in 1965 and are still currently being held have only helped to popularize the mando, i.e., they took it from the aristocratic homes, where it was almost extinct, to the public in general. However the quality in its representation, the style of singing, dancing, and the mando dress has suffered drastically except with very few of the participating groups. I second Prof. Lucio’s suggestion to go beyond the traditional harmonization to four-part choral arrangements with full orchestral accompaniments like those done by the late Prof. M. Martins, and the Paranjoti Academy Chorus and performed in Bombay, Goa and Pune. The first such attempt by Goencho Nad choral group led by the late Maestro Fr. Camilo Xavier in the Second Mando Festival in Goa was not well accepted and was not even considered for a prize by the judges. “The future of the mando lies in concertised versions, in symphonic expansions, in choral arrangements, radio recitals, professional CD recordings and community singing in educational institutions which will be our contribution not only to Indian music but to the music of the world,” said Lucio, and it makes a lot of sense to me. Contrary to Lucio’s belief, I feel that mandos can be composed today because Goa still has musical talent. The forty-eight Mando Festivals in Goa thus far should have helped to dispel the ignorance of the real essence of the mando for our younger generation, which is totally sold on multiple styles of modern music that is plugged into their ears continuously. Cassettes and CD recordings done so far are not serious enough in portraying the mando-dulpods in their originality. Of course they are made for commercial use and very often wrong information is portrayed. For example there is a video clip floating around on Youtube.com and Flicker.com that displays a group of semi-clad European women dancing to the tune of Kharvi amim — a popular fisher-folk song. The caption in bold letters tells the viewers that this is the “Traditional Goan Mando Dance”. What a travesty, perhaps due to ignorance or an unwillingness to learn about our music by accessing available resources! The Song of Goa books series by Pereira-Martins-DaCosta would be one such resource. In the articles ‘Durpod: The Song of Joy’ and ‘The Dakni: The Song of the Dancing Girl’, Prof Lucio really shows his profound knowledge of Goan folklore, a field in which he has made a tremendous contribution to posterity. I wish I had come across these articles earlier on in my life. I love his definitions, contrasts and analogies between the mando and the dulpod. “When a Goan is touched by the beauty of a woman, he sings the mando; when he feels the myriad joys of living, he sings the durpod,” writes the author. Indeed the mando is a song of love; it tells the story of love depicting all of its moods, which may be yearning, or frustration, or fulfillment. The durpod, as Lucio calls it, tells no story but gives quick and interesting glimpses of of Goan life in all its aspects, embracing all life: human, animal and vegetable. The kaleidoscope of so many contrasts between mandos and dulpods that Lucio gives in this article makes the reading very interesting and valuable and one can see why he says that, “Durpod is virtually a documentary of Goa (because) it covers the human scene from birth to death”. The deknni, or “dakni” as Prof. Lucio calls it, is another dance song created by Goans. It uses Hindu music but is in the Christian (Westernized) idiom of music current among the Christians. He calls it the song of the dancing girl, the kolvont, a professional who belongs to the class of singers and dancers in the Hindu temples. His analysis of the dakni’s theme, structure of melody, music, language, its background, and its comparison with the mando and dulpod, is educational and valuable. He is mostly correct when he states, “The Christian poet and composer of Goa is inspired by the life and art of the dancing girl. She becomes the theme of this song”. It is noteworthy however that Lucio did not have the advantage of later research regarding the theme of the deknni. The 2005 Pereira-Martins-DaCosta’s Folk Song of Goa book contained 38 specimens of deknni and the revised edition soon to be published with more additions will contain 64 specimens out of which only 20 have the theme of the dancing girl. Therefore there is a greater number of deknnis that have themes other than that of the dancing girl. I feel greatly enriched reading these learned essays by Prof. Lucio on the subject of Goan classical music (mando) and folk music (dulpod and deknni) which are so dear to my heart. He did a fantastic job sharing the knowledge he obtained within the resources of his era, and he has shared this with the rest of us. He would have been happy to read the critical publications of mandos, dulpods and deknni that came after him. May this book serve as a source of enlightenment to our younger generation so that they can understand and love the mandos, dulpods and deknnis for what they are and for all that they represent.